Near Annecy, La Clusaz is a pleasant resort ideal for a holiday in Haute-Savoie. Dynamic and international, this mountain destination offers a beautiful mountain landscape. The surrounding landscape has been preserved and will appeal to nature lovers, but also to most sports enthusiasts, in all seasons. At the heart of an exceptional and protected site in the Haute Savoie, this resort, located 5 minutes walk from the village of La Clusaz, we propose to you the residence of Tourism "Mendi Alde" with first-class services. This property is built in the traditional style of the chalets, with balconies and terraces. The southern orientation ensures maximum exposure to the sun and a beautiful view of the Aravis massif. It is close to amenities. - Swimming pool with jets and jacuzzi - Please note that the pool will NOT be opened in the winter season 2016-2017! 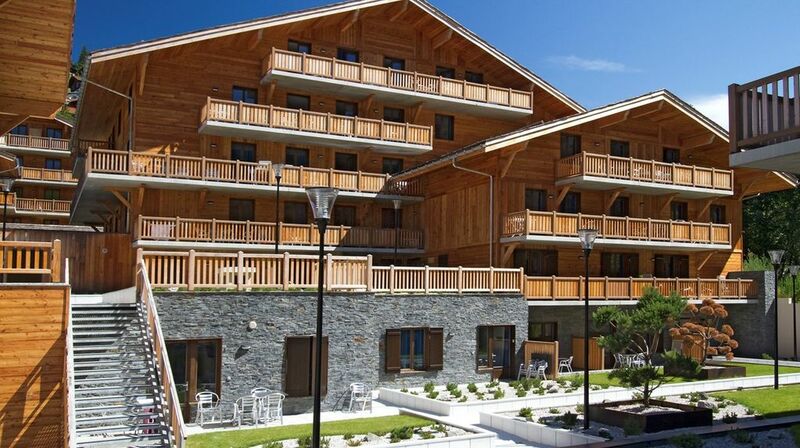 Holiday homes in La Clusaz at the Residence Mendi Alde with 178 apartments sleeping 2, 4, 6 or 8 people. The holiday rental for 6 people consists of an adjoining studio for 2 people and an apartment for 4 people and the holiday homes for 8 people consist of an adjoining studio for 2 persons and an apartment for 6 people. Free Wi-Fi is available. At your disposal: Balneo Spa (850m²) (managed by an outside supplier) with swimming pool with water jets and bubble bath, hammam, sauna, multi-jet showers, relaxation room, fitness room and beauty treatments. Laundry (against payment), underground parking, children's playroom and ski lockers. - Deposit to be paid on the spot. The deposit is refunded after the inventory upon departure or returned by mail within 8 days. Please note that all additional services are subject to change without notice. All information provided is intended to be informative and general. We will not be responsible if such changes occur.